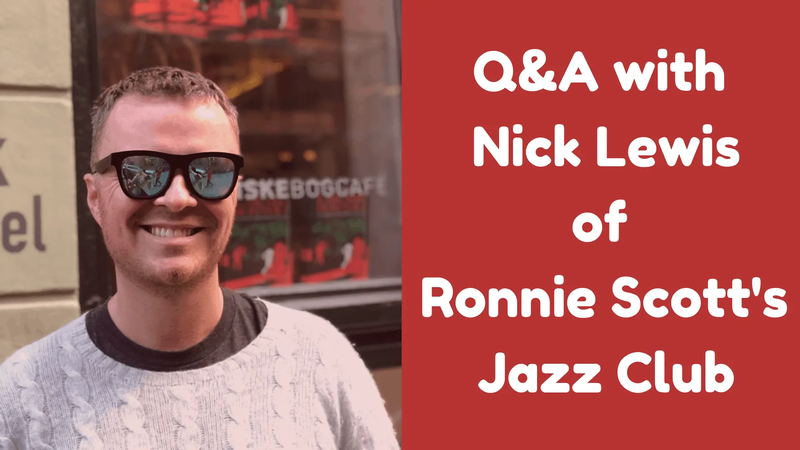 Nick Lewis is one of a 5-strong programming team at London’s legendary Ronnie Scott’s Jazz Club and shares some insight from his 12+ years at the venue, including his work to champion emerging artists and the changing notions of what 21st century programming looks like. Having been at Ronnie Scott’s during its huge resurgence in fortunes, he is now also involved with other initiatives, in his role as head of music and promotions, to expand the club’s reach outside of its 4 walls, which has seen gigs at other iconic London venues such as Koko, Jazz Cafe and The Royal Albert Hall. Wherever you’re based in the world, there is some great actionable advice here for building your career. Don’t pitch to ‘Sir/madam/Mr/Ms/Promoter’ – they know you’re copy/pasting it to everyone ! 4 things every musician should do to help a venue promote the show. Why Oscar Wilde was on the right track when it comes to presenting yourself to venues. 6 places programmers can discover new music daily. As one of the most famous jazz clubs in the world, I imagine you have a lot of proposals. What’s the process for deciding which non-headline artists get booked? Correct Matt! Yes I think most successful arts venue programmers would admit to being swamped with proposals from artists and/or promoters – that’s got to be a good problem to have though, just consider the alternative! With regards ‘non-headline’ artists here, there’s at least 2 slots per night to book in the main room (support band and late show band) plus certain nights of the week in our upstairs bar. Plus we have a 3am licence, so we can and should be creative and diverse with our programming as much as possible. In recent months, I’ve been working more closely with our music director James Pearson to ensure that these slots compliment the main show band as best as they can so that we have continuity and a musical ‘arc’ throughout the evening. I’ll give you two examples: recently at the club we had US sax legend Kenny Garrett, so we reached out to trumpeter Mark Kavuma to support, and then pianist/singer Reuben James to run the late show with a special guests – those 3 go really well together I think. And you hope that Kenny’s band will hang around and sit-in on Reuben’s late show and it becomes a bit of a scene! As a contrasting example next week for Christian Scott’s residency we’ve gone a bit more left-field (reflecting Christian’s music), so Tina Edwards will do a DJ warm-up set, as well as up-and-coming jazz/funk/hip-hop act Brother’s Testament and then after Christian’s main set, one of our fave fusion drummers Dexter Hercules will run the late shows. You try to set the scene and sit back and hope something unexpected or collaborative happens over the night, that’s part of the essence of this music after all! And it’s always worth the effort when you see a headline artist in the room digging other musician’s playing – Michael League (Snarky Puppy) loved the support band we’d booked for his band Bokante, and it felt great telling him it was a homegrown act (the fantastic Vula Viel). The programming seems to have evolved to allow for more emerging artists to perform before/after headliners. Was that a conscious decision? Most definitely. I’m passionate about us bringing through the next generation of emerging artists, it’s what Ronnie’s should do. If you can help give a break to a supremely talented young artist by booking them on a high profile support or main show why wouldn’t you do that? And sometimes you need to be the one to tell the artist that they’re ready to play the club because they don’t believe it themselves! Another reason for doing this relates to ‘future proofing’. We’re in a privileged position here in that the club has been going for 60 years, it’s an iconic institution, artists like to play the club and we’re able to attract jazz’s biggest stars and legends of the genre, so for example Georgie Fame has been playing here for 40 years and should keep being booked here, BUT! His audience aren’t going to be around in 20 years – so what are you doing to attract new audiences? It’s something I’m constantly thinking about, and I think we still need to get better at it because for me it’s crucial to this place’s survival in the next 60 years – if you aren’t keeping up with emerging artists then you risk your venue becoming outdated and those artists won’t feel any affinity to your venue when they’re at the next stage of their career. You’re going to get ‘disrupted’, to coin a fashionable term! You work on external events for Ronnie Scotts too. What extra considerations do you have to deal with when it’s not the ‘usual’ venue that your audience are used to? Yes this has been a very interesting and exciting new experiment for Ronnie’s. I like taking risks and testing the boundaries of our audience and beyond, and sometimes our favourite artists are better suited to a standing audience rather than a seated jazz club anyway. So let’s put Ezra Collective on at Koko, let’s try Boston Funk band ‘Lettuce’ on at Jazz Café and let’s try Courtney Pine at a newly re-opened venue in Ally Pally and see if our audience is willing to travel! And even if they’re not, we’re living in the digital age – it’s so much easier than it’s ever been to promote your shows beyond your immediate audience and to local music fans or fans of the artist direct. Start with ‘is this band going to work in this space?’ and ‘is it going to be a dope night in London’? How important is an artists role in selling tickets to a gig? What should they be doing as a minimum? 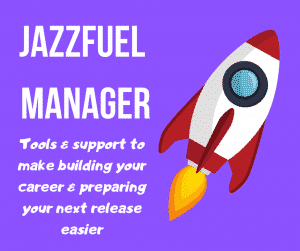 I think for most venues the answer is ‘CRUCIAL!’ but down here it depends – hopefully as a programmer you’ve done the work already by booking the right band for the room, at the right ticket price and for the right number of shows and right days of the week. So in that respect you’ll sell the tickets by doing your basic venue marketing, but sometimes when you book an artist you know even before you go on sale that it’s going to be a hard sell. In this instance, the artist involvement is key. 1 paragraph of s*** hot narrative about the band. Plus a longer bio too if you like, this can help especially with search engine optimisation on web listings. Not too long though, 1 page max – I’ve lost count of the number of 20 page bios that document every waking moment in the band member’s lives! Video content – so easy, and so often a missed opportunity. Invest in a 1 min promo or 1 track clip of your best song – it sells the band in the best way possible, and you can use it for all your live gigs, not just this one. It’s a double win as it’ll help get you the gig in the first place and then help you sell the tickets. Social media. There’s an art to getting this right as we know but we all know artists who do it well and those that don’t. So do support the venue and tell your fans about the gig when it goes on sale on all your channels, tell your email database, and maybe do one more post before the gig (don’t post about the gig all the time, people feel the desperation!) and agree to host/share the facebook event. That kind of thing. In terms of building a profile in London or the UK as a whole, what are 2 or 3 tips you could give international artists? 2) Target journalists/broadcasters are into similar kind of music to the music that you make. Send them your album tracks, put them on your mailing list. I know there’s a team of programmers at Ronnie Scott’s. How does that work? Yes, so for the main acts there’s a committee of 5 of us (Simon, Sarah, Paul, James and me – all of us have other individual roles here too) and we get together once a week to discuss new artists we’ve been pitched, new artists we wish to approach and status of offers out on artists. This has worked very successfully for years now and we all have different musical tastes so it makes for a more balanced programme overall rather than all the bands who come here being to one person’s taste. Then there’s Alex who looks after our house band projects playing around the UK and other opportunities like festival pop-ups and partnerships. Where do you discover new music in 2019? Spotify algorithms, haha! They frequently serve me up new stuff that I would never have heard of on the ‘discover weekly’ and ‘release radar’ tabs. Youtube the same – I resent the algorithm but kind of love it too, as long as it shows me cool music and not cat videos. Music channels: Tinydesk, boilerroom, sofar sounds etc Radio and podcasts – shout out radio6, soho radio, jazzFM, worldwide.fm, npr music. 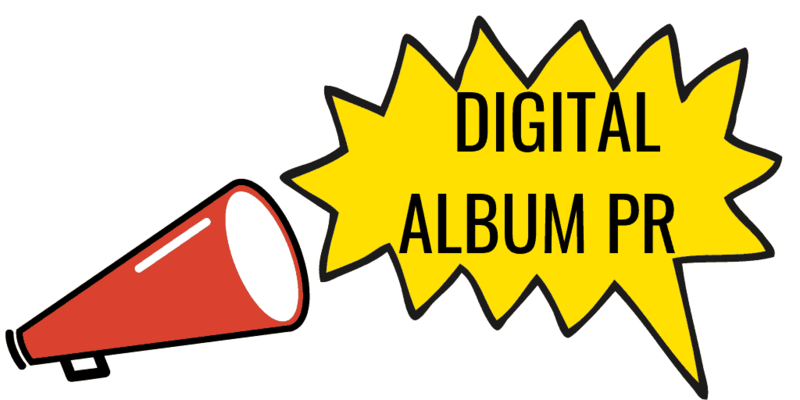 Social media – seeing what musicians are posting and getting excited about. Other venue and festival listings. Talking to industry colleagues. What names are others buzzing about? What’s 1 thing you wish musicians knew about how NOT to send an email pitch? I think starting your email with ‘dear venue/promoter’ isn’t the best start, so now we presume you’re spamming every venue in the UK and haven’t taken 30 seconds to do a quick google search or phone call to find out the person’s name. And don’t email too often. Most venue bookers are rammed with enquiries so there’s really no need to spam them every couple of days if you don’t get the answer you want, or worse still, contact someone else at the venue – now you’re taking up double everyone’s time. If a trusted colleague tells you about a new artist, where’s the first place you’d likely go to check them? I’d probably go youtube first to try and check out some live footage. You’ve seen a lot of the jazz greats play in the club. Anything particular that stands out about them as a group compared to all the many talented musicians who don’t achieve that level of fame? Good question. Maybe it’s the presence. I remember seeing Kamasi Washington appear here with Harvey Mason in 2014 before he was famous and he had this charisma and artistry that was undeniable – you just couldn’t take your eyes off him. Marcus Miller, George Benson, Al Jarreau, Esperanza, same thing. But by the same token I think a lot of our young UK musicians have it too – Nubya Garcia, Yussef Dayes, Femi Koleoso, Shabaka Hutchings, Moses and so on, so that bodes really well for them. The other thing is they all have their own very distinctive sound too, all the artists I’ve just mentioned are completely themselves and sound like no one else. Nick has worked for Ronnie Scott’s since 2006 – having always wanted to contribute towards the presentation of world-class live music. As a keen bass player and pianist, a first visit to the club 2 years earlier saw him witness to the effortless brilliance of singer Liane Carroll and immediately convinced Nick that this was an institution that he wanted to help maintain and expand its global reputation. Nick saw the club through its transition period and change in ownership and has played no small part in the huge resurgence in its fortunes in recent years – including a 900% increase in club members during that time. He is now also involved with other initiatives to expand the club’s reach outside of its 4 walls. Nick is keen on championing young and emerging artists and wants to challenge preconceived notions of what a 21st century jazz venue should be, as well as how technology can play a role in this. Personal highlights include late shows by Prince, Snarky Puppy, Chaka Khan and Hiatus Kaiyote, a very special Royal Festival Hall evening with french composer great Michel Legrand and the Royal Philharmonic Orchestra + live film clips, turning the club into a rave venue for Drum ‘n’ Bass legend Goldie’s comeback LP as well as supporting emerging new UK jazz artists like Nubya Garcia, Ruby Rushton and Ezra Collective to name a few. In 1959, saxophonist Ronnie Scott opened the door to a small basement club in London’s west end where local musicians could jam. Today, in its new home in buzzing Soho, Ronnie Scott’s is one of the world’s most famous jazz clubs attracting full to bursting audiences practically every night. Since the early days of Sarah Vaughn, Count Basie and Miles Davis, the club continues to present the biggest names in jazz including Wynton Marsalis, Cassandra Wilson and Kurt Elling, all of whom shun the concert halls in favour of the intimate and welcoming environs of the club. Ronnie Scott’s is also a club firmly on the cutting edge; the first place to catch hotly-tipped rising stars, visionary artists and the next big thing. With it’s introduction of the Late Late Show, a relaxed ‘50’s speakeasy vibe with doors open till the wee hours, the Wednesday Jazz Jam (a late night instrumental jazz jam session), plus Ronnie’s Bar (upstairs at the club) eclectic programme of DJ sets and live music including Latin, jive, blues, flamenco and even tap dancing, Ronnie Scott’s has become the hang for London’s young hipsters and the place for music fans of all ages seeking jazz royalty in the worlds most stylish famous jazz club. All really good info. I like that they have a team of people with different musical tastes, I’m sure that makes a big difference. Also that they are so engaged in the music scene in general – very cool. Next stop London!